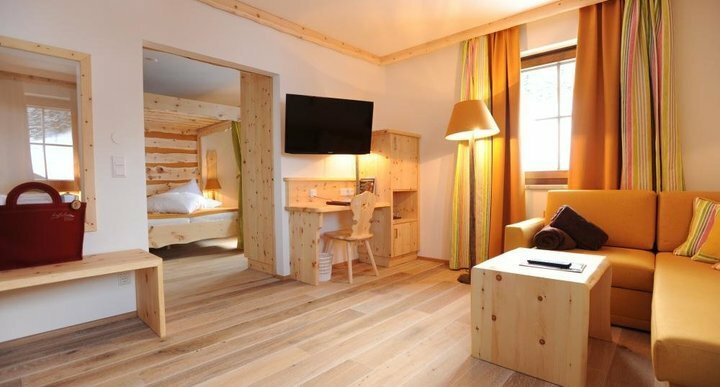 You have selected this room. 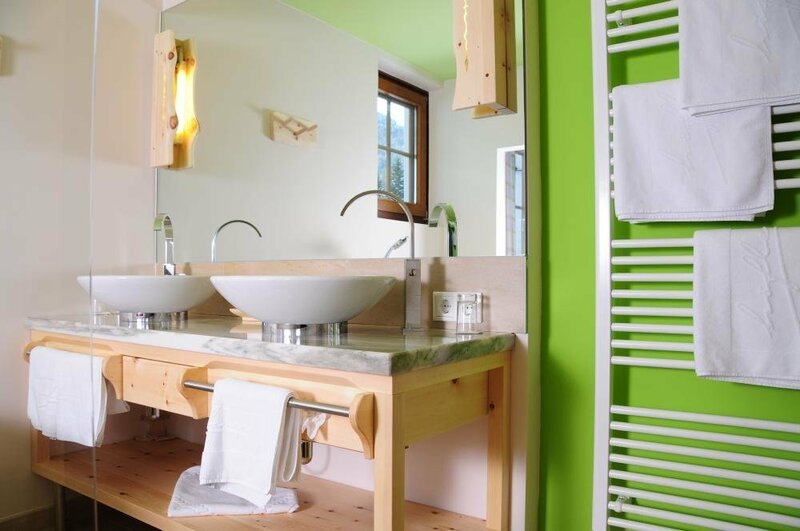 30 qm, located in our new building, 2-4 persons, charming and comfortable, bathroom marble tiled (Sölker), Oaken plank flooring, Scented Swiss Stone Pine, internet, flat TV. 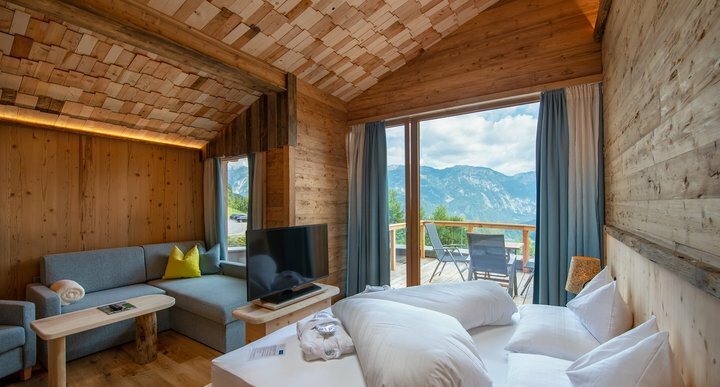 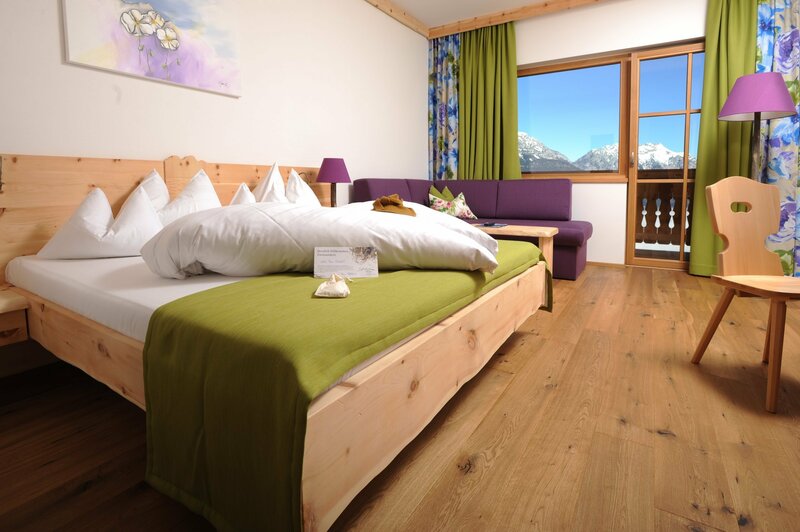 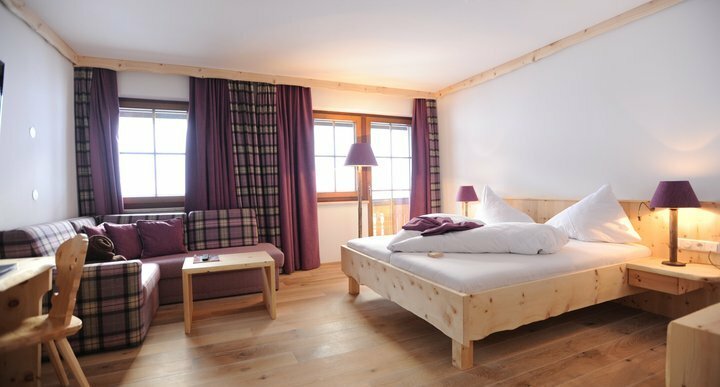 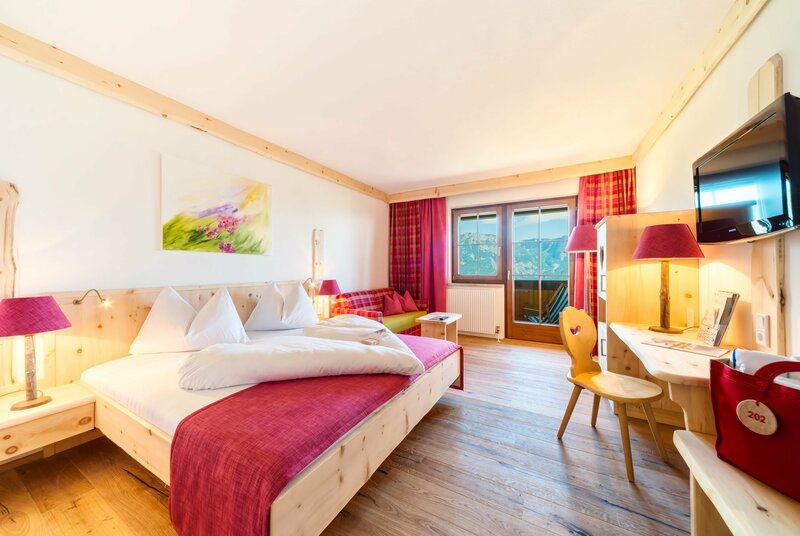 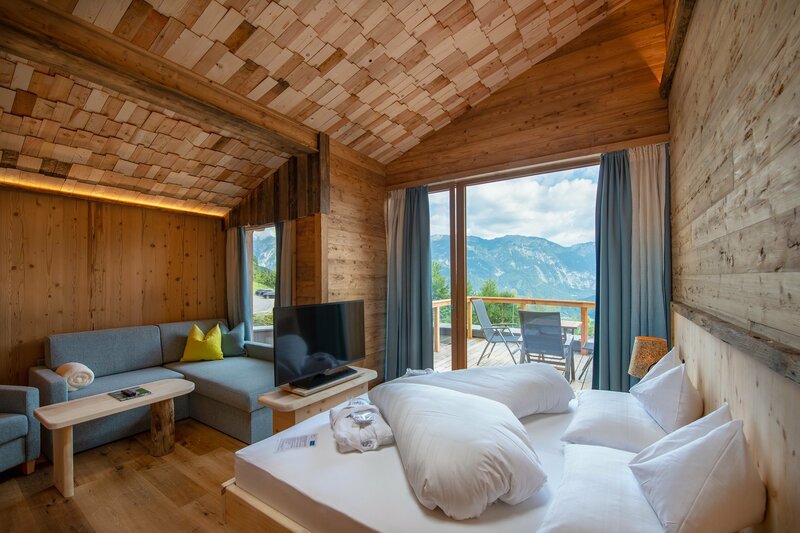 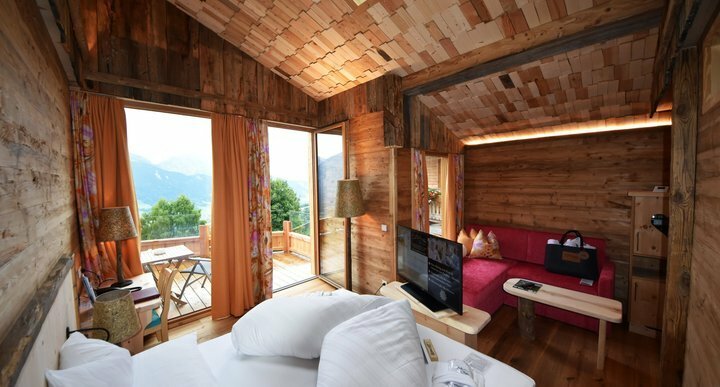 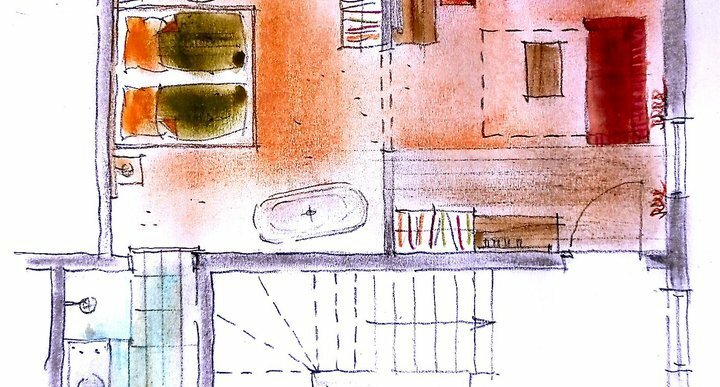 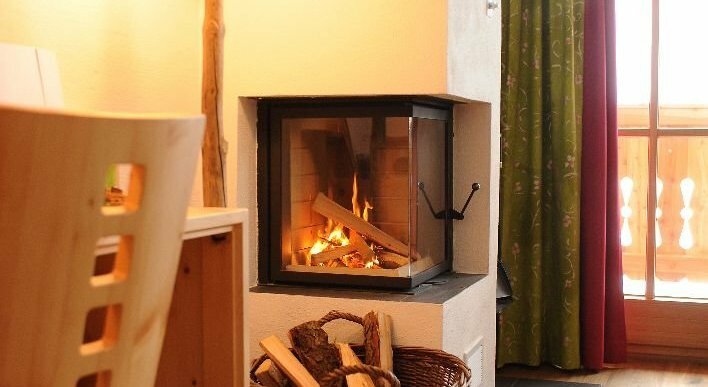 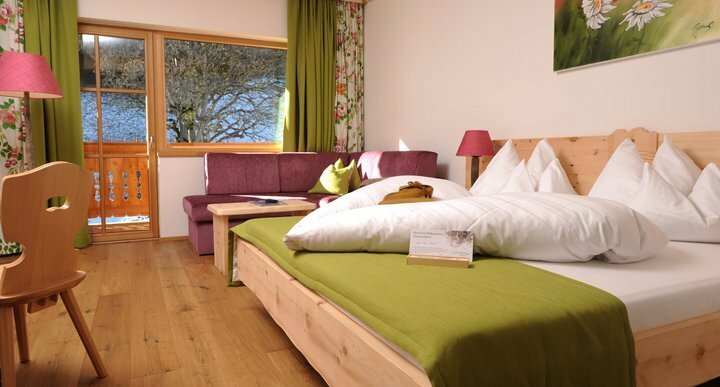 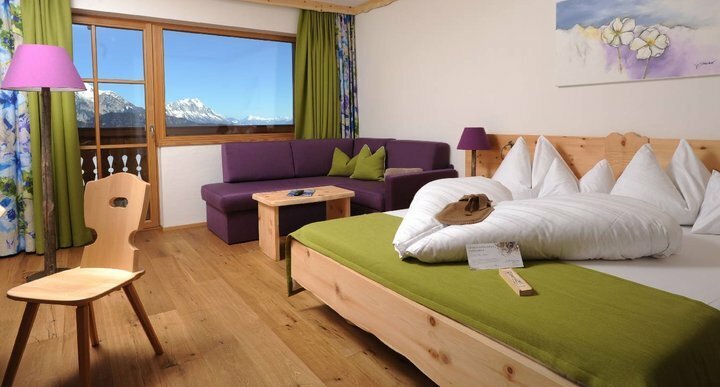 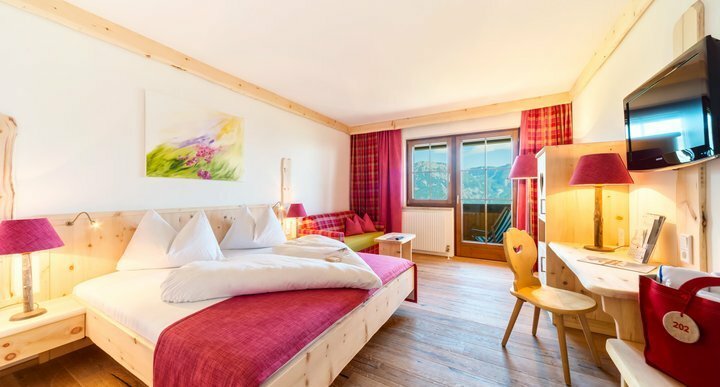 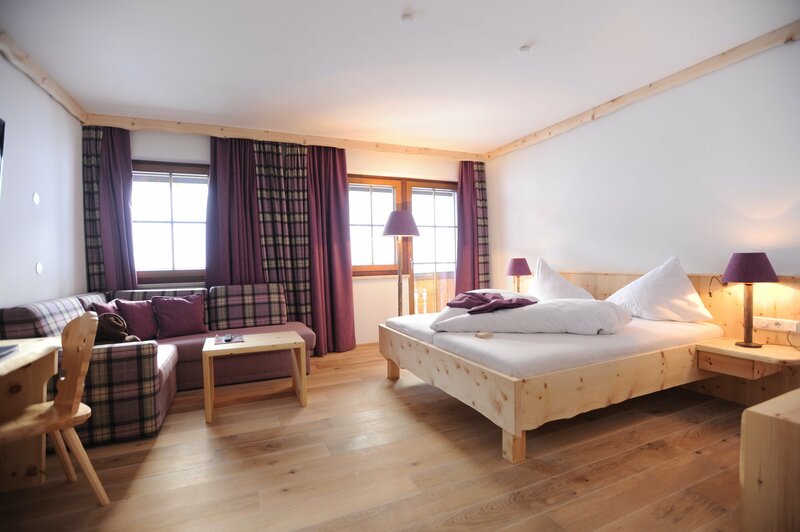 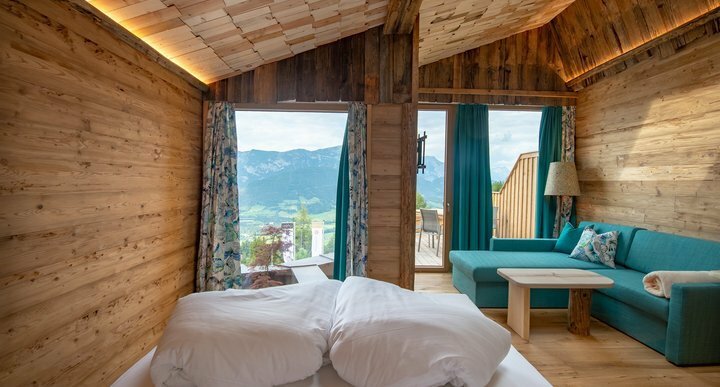 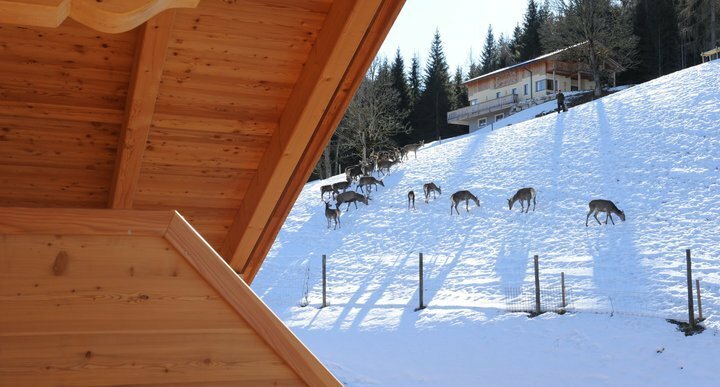 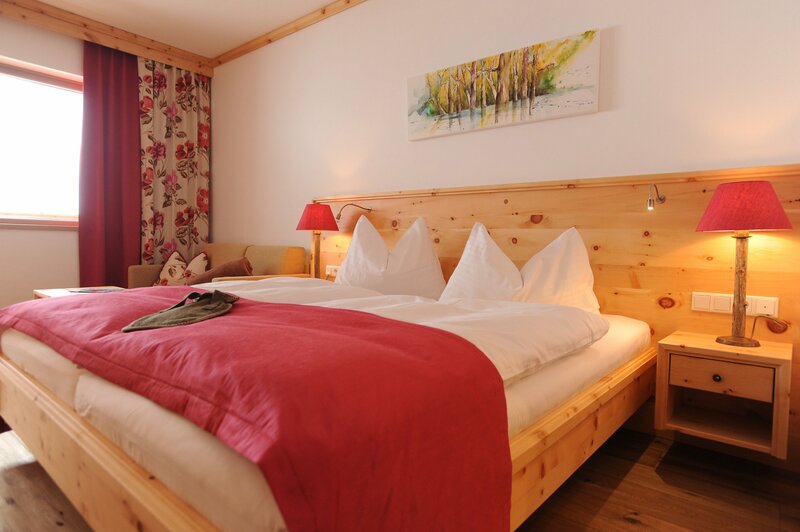 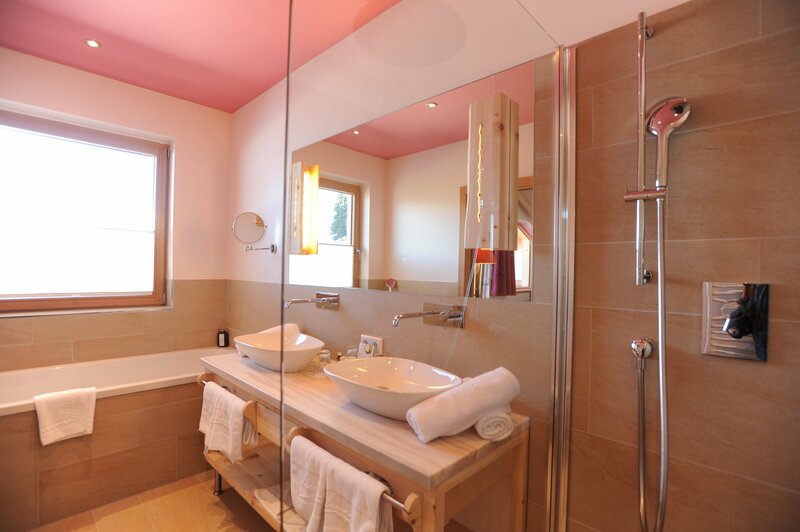 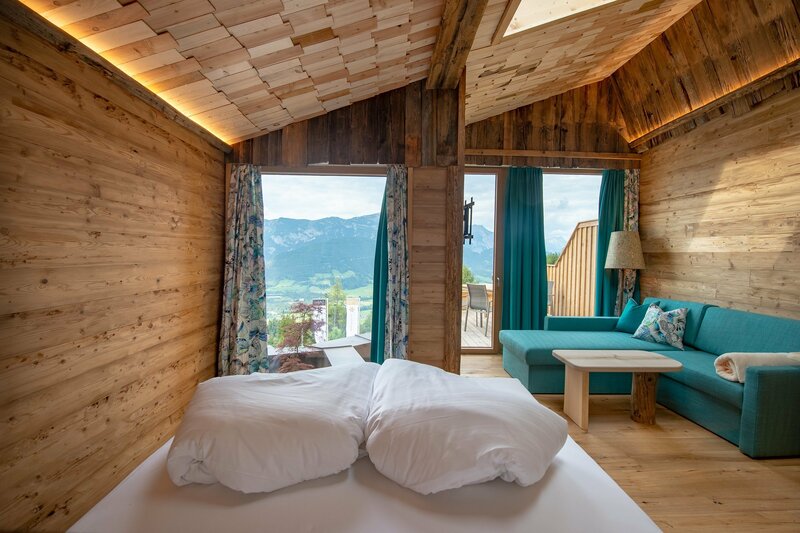 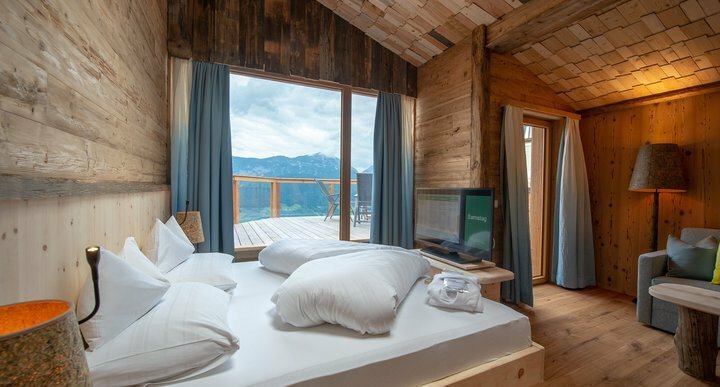 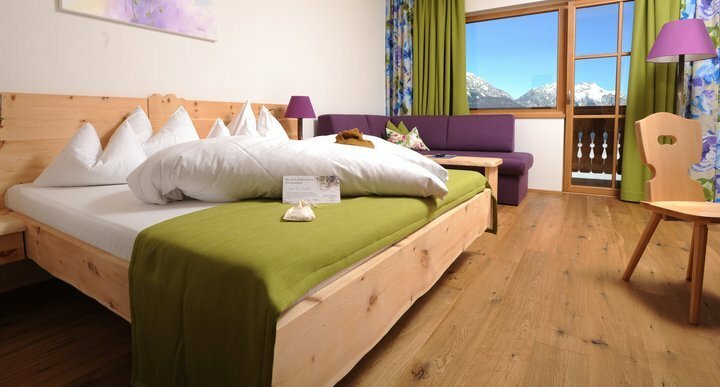 30 qm, 2-4 persons, Dachstein panorama, modern and comfortable, bathroom marble tiled (Sölker), oaken plank flooring, scented Swiss Stone Pine. 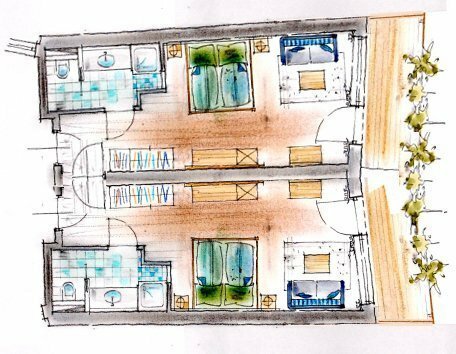 25 qm, romance room with a canopy for couples, bathroom stylish and marble tiled (Sölker), oaken plank flooring, scented Swiss Stone Pine. 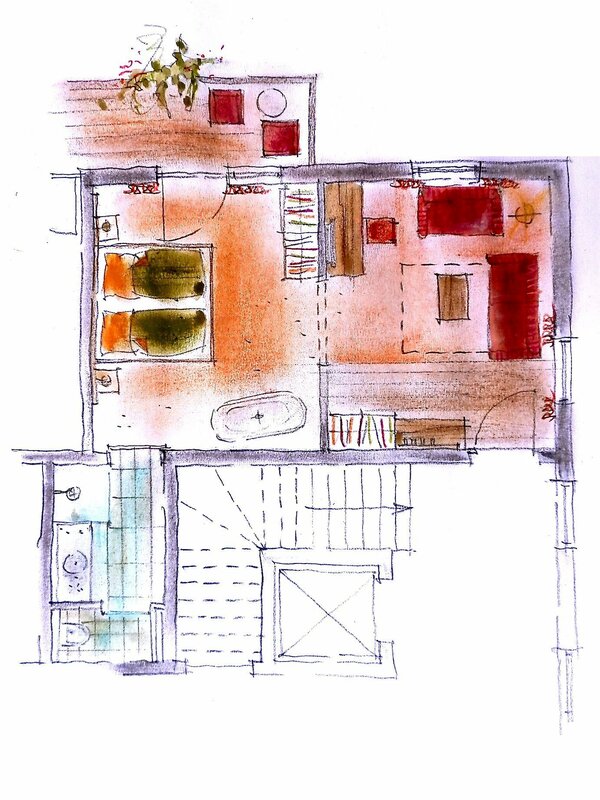 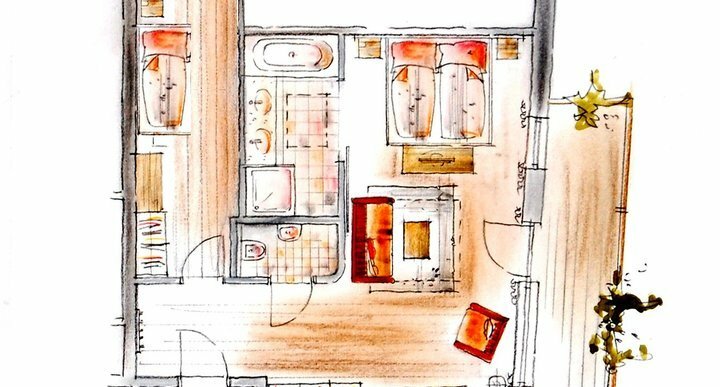 32 m² mit Himmelbett, 2-4 Pers, Charme & Style. 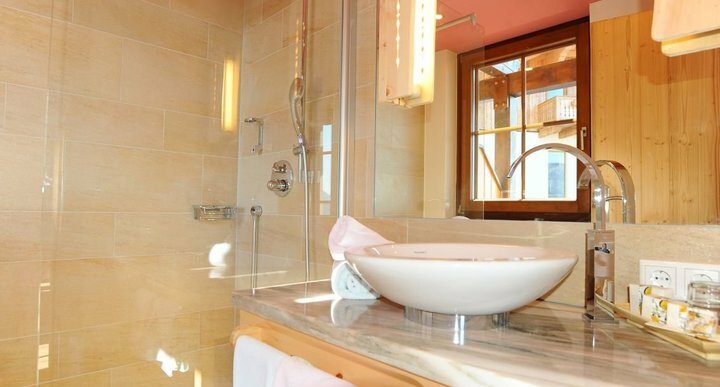 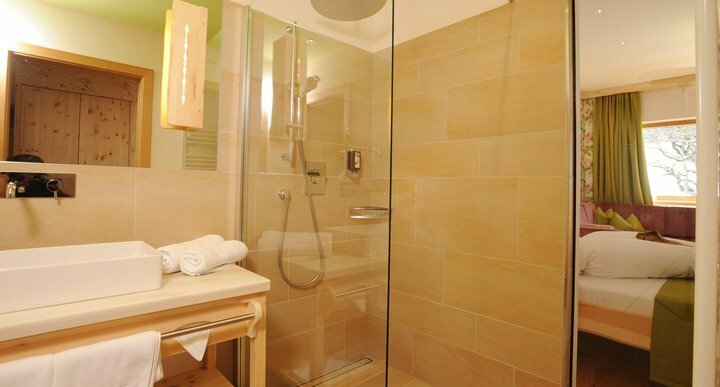 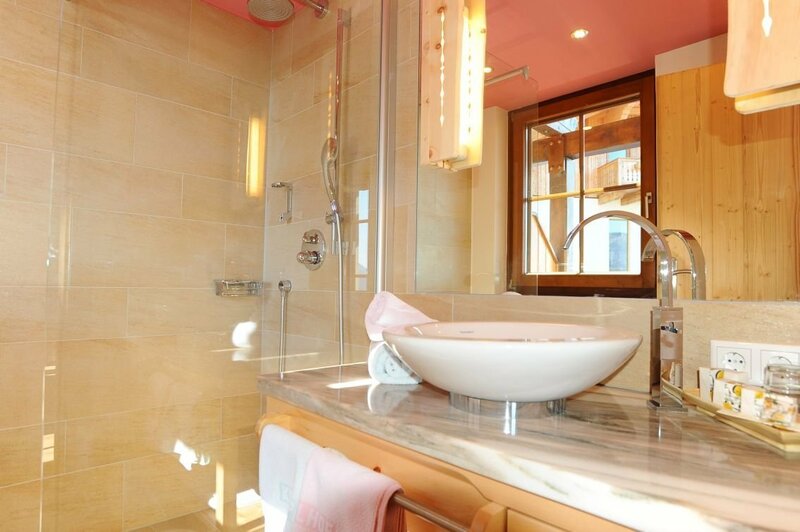 Badezimmer mit Sölker Marmor, Eichenholzboden, duftende Zirbe. 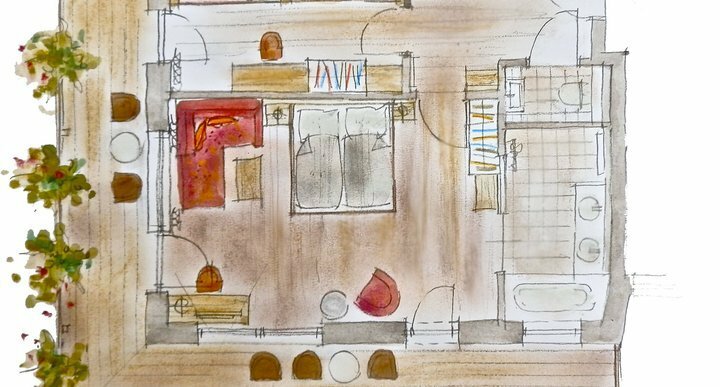 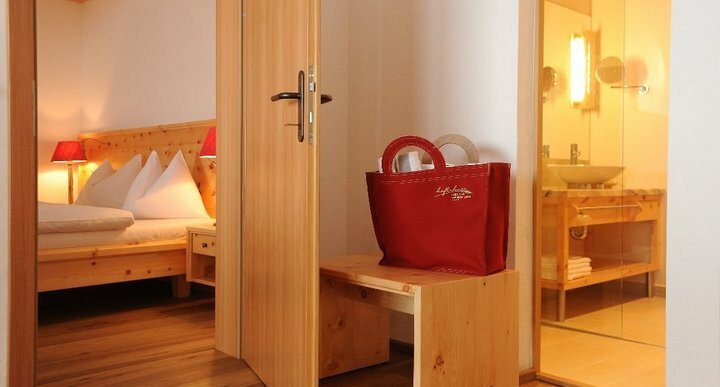 45 qm, 2-6 persons, large living- and bed-room, separated bed-room for 2 persons, flat tv, oaken plank floors, scented Swiss Stone Pine. 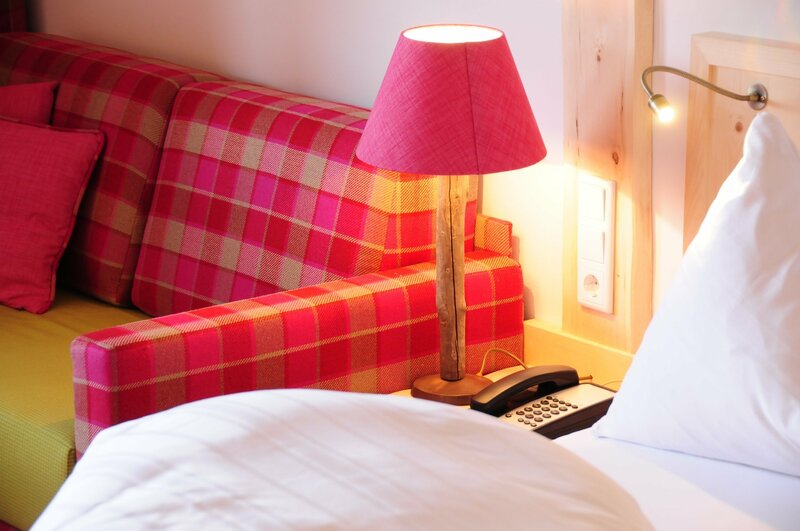 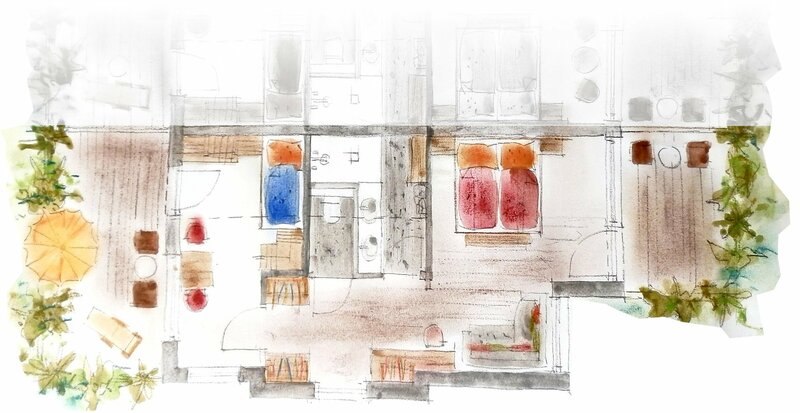 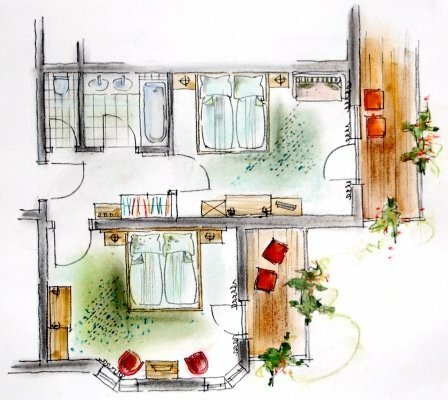 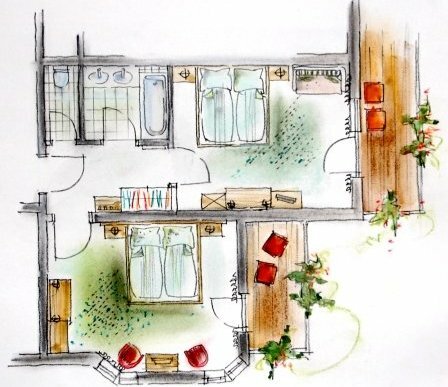 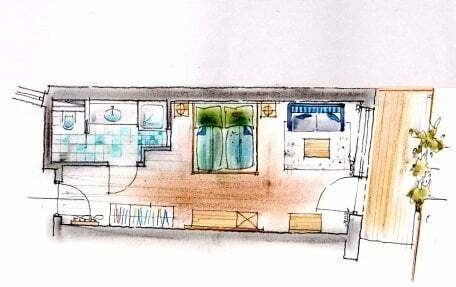 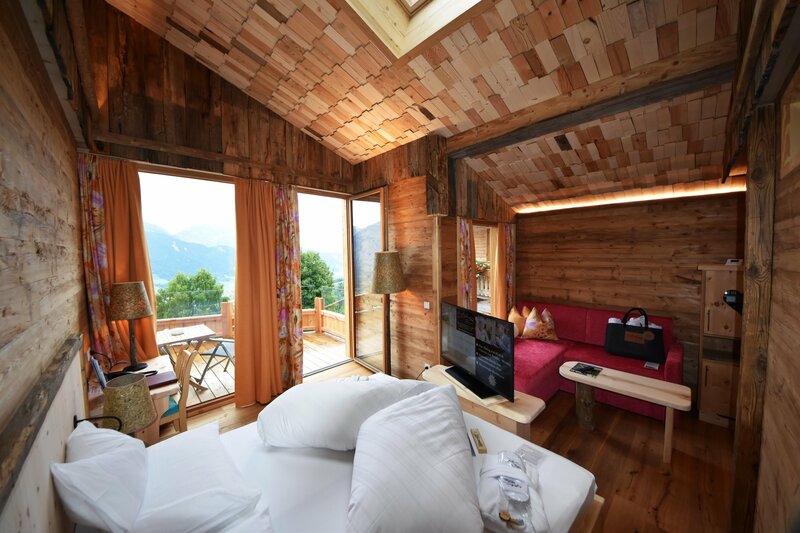 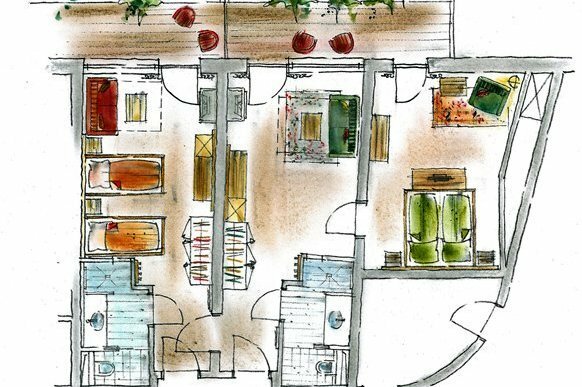 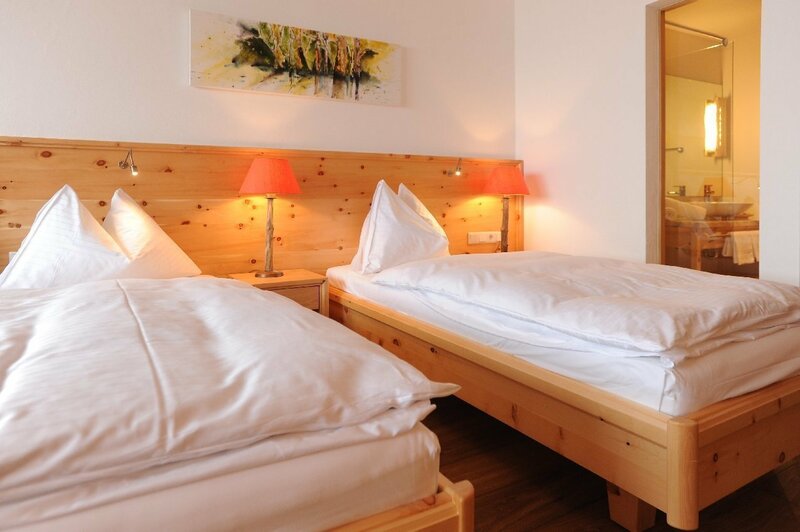 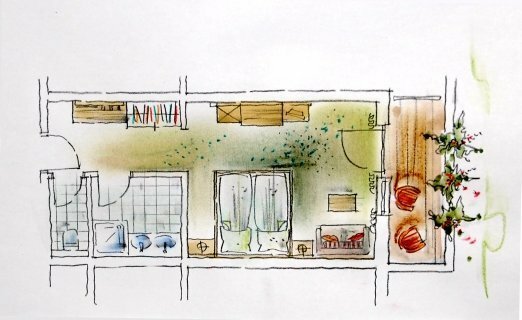 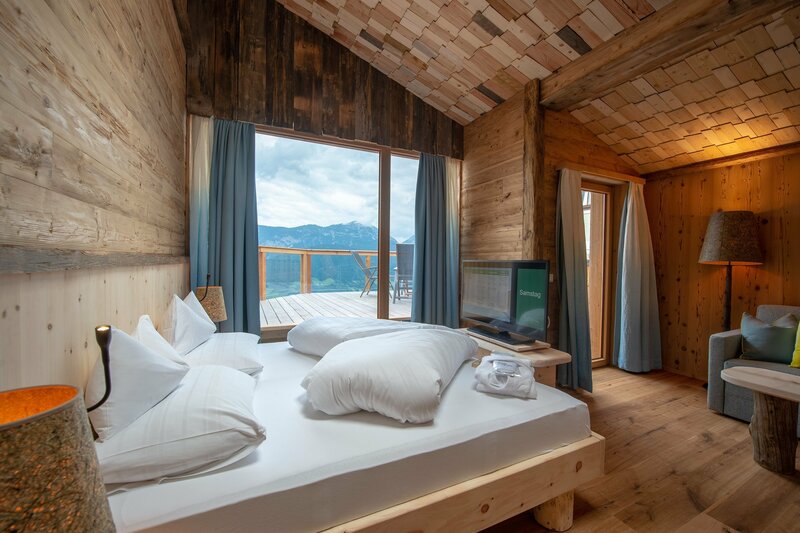 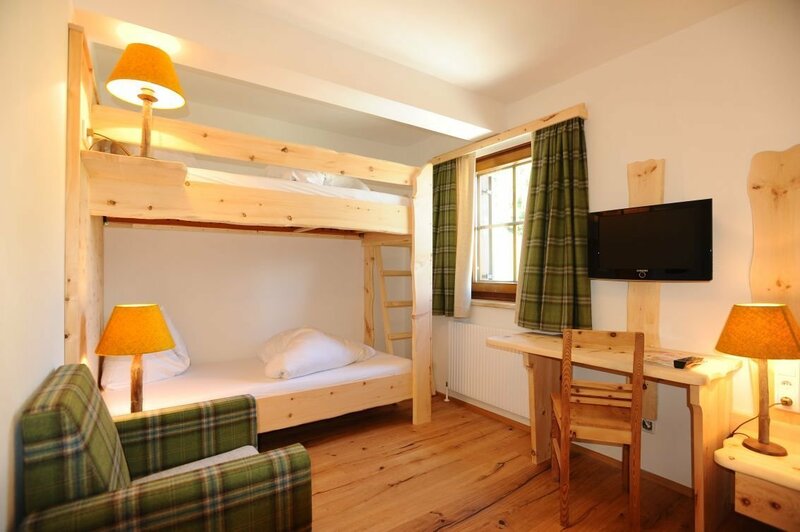 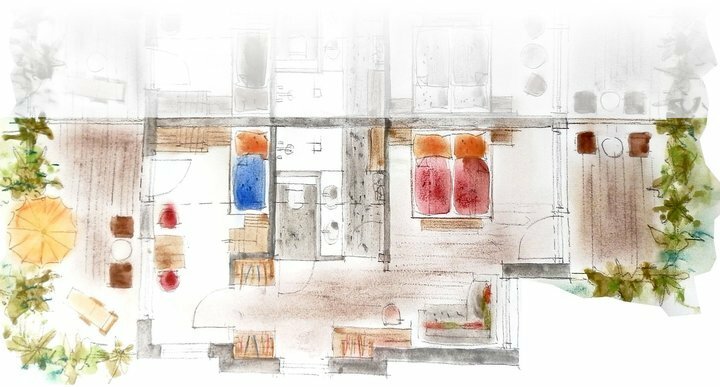 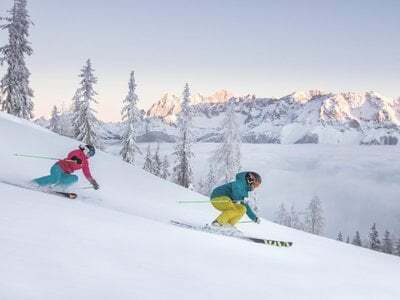 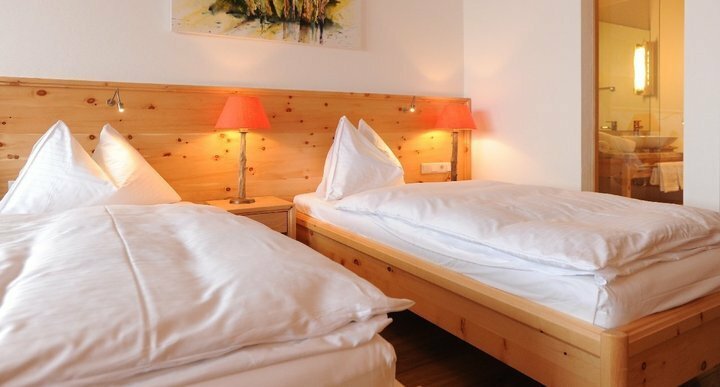 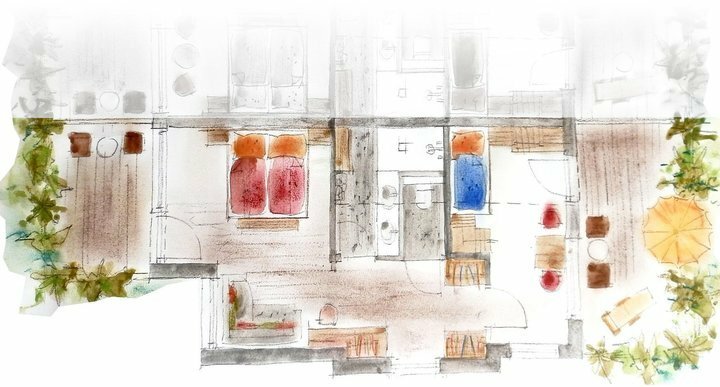 75 qm, 2-6 persons, large living- and bed-room, parents bed room, separated bed-room for 2 tor 4 persons, flat tv, oaken plank floors, scented Swiss Stone Pine. 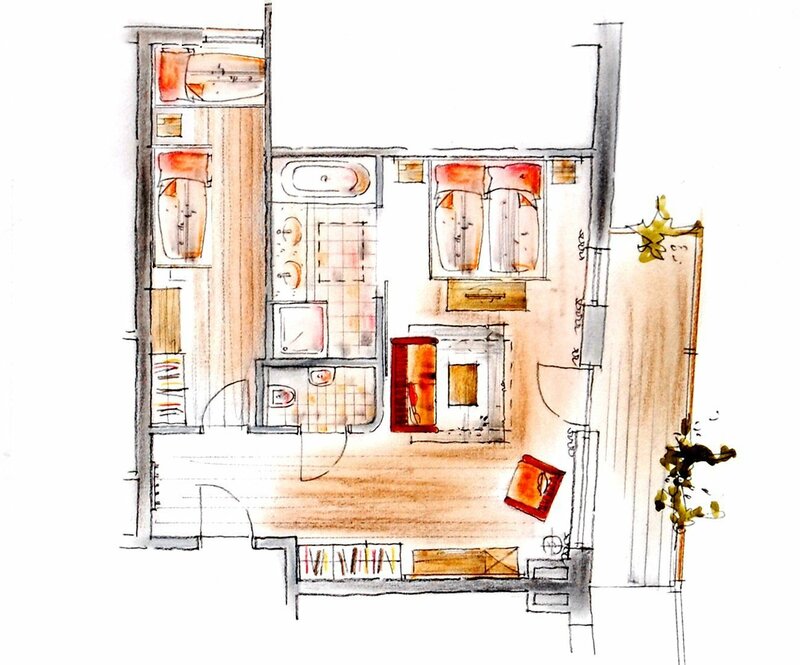 33m² in the main building 2-4 pers. 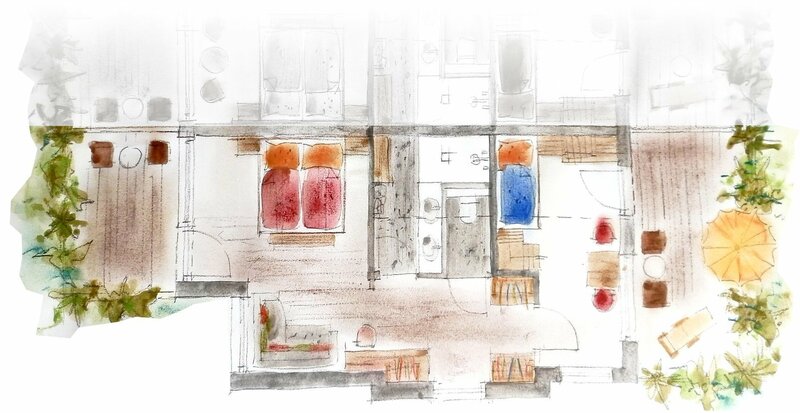 Noble and homelike style, fragrant natural wooden furniture, large seating corner, south facing balcony, WLAN , flat tv. 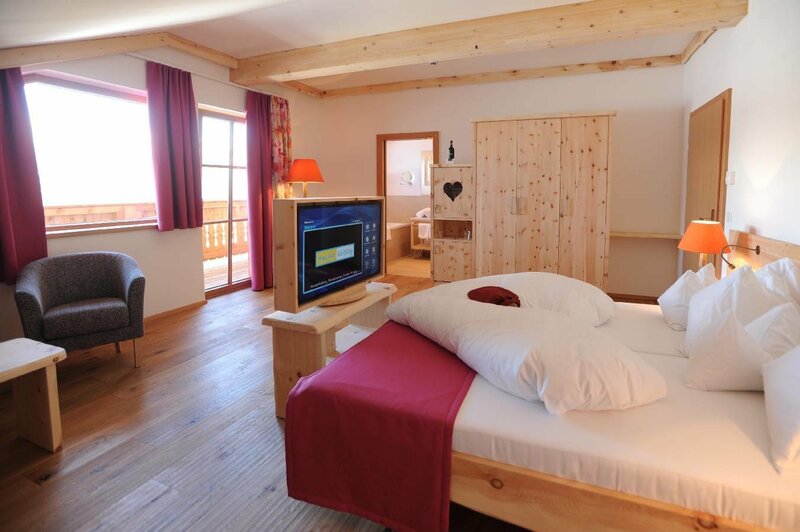 40m² located in the main building and it is suitable for 2-4 persons. 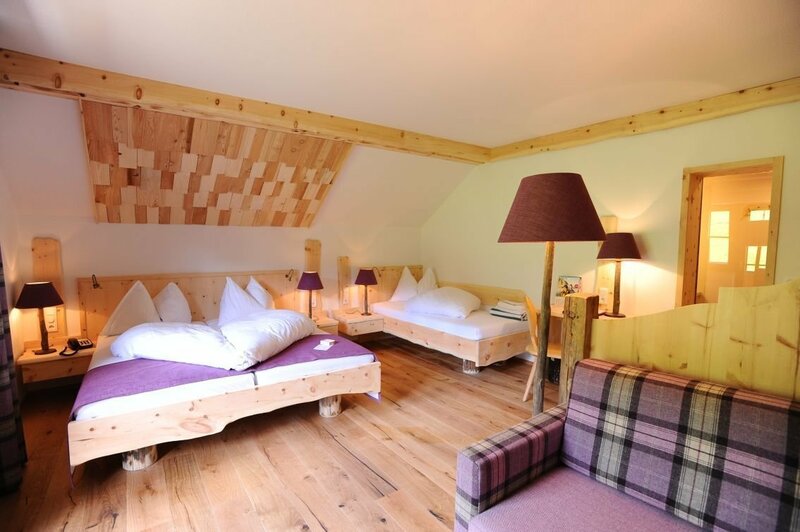 The suite is noble and has a local flavour. 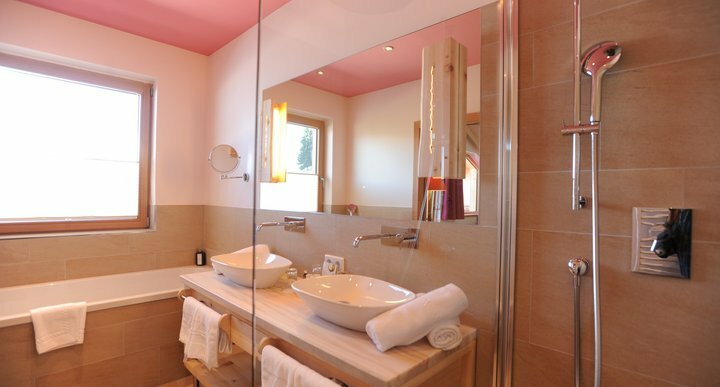 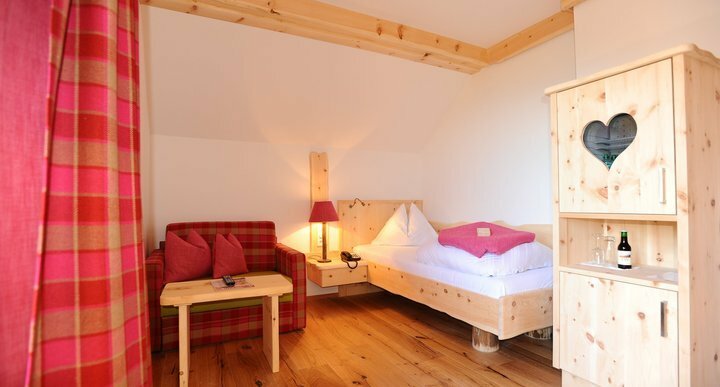 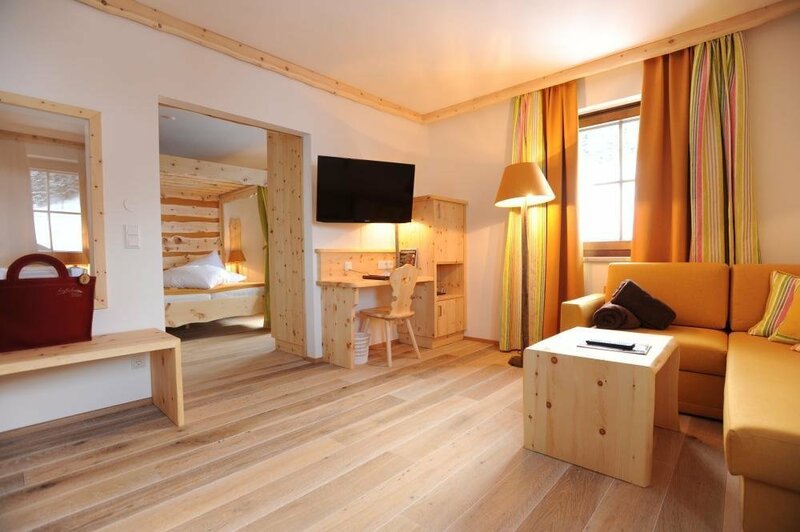 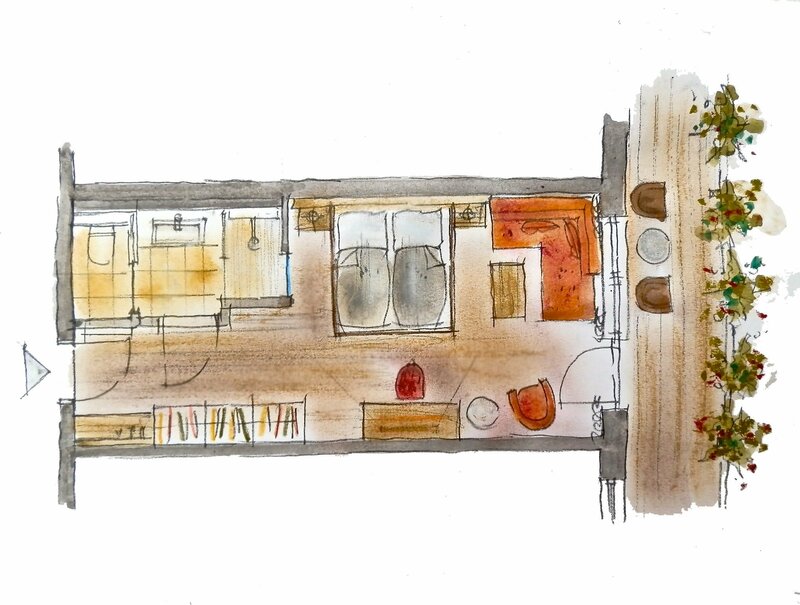 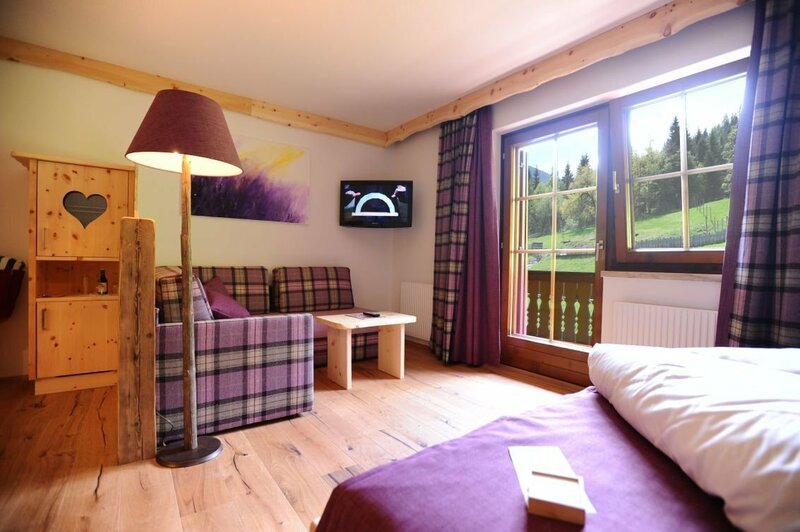 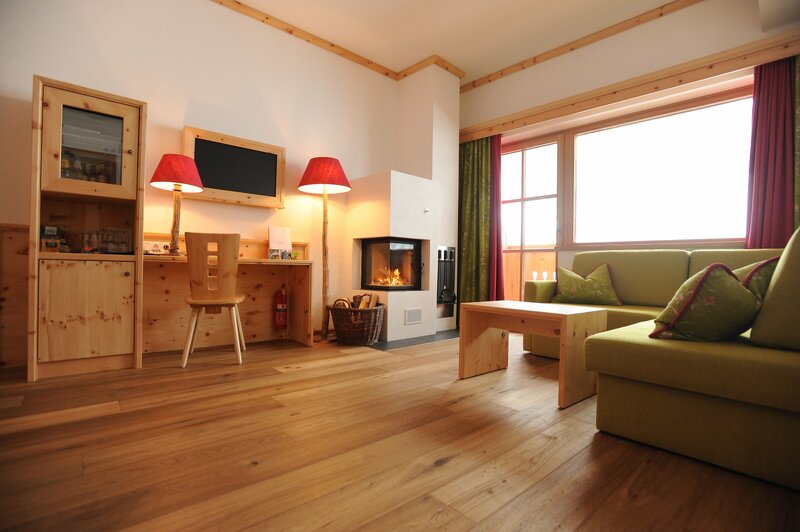 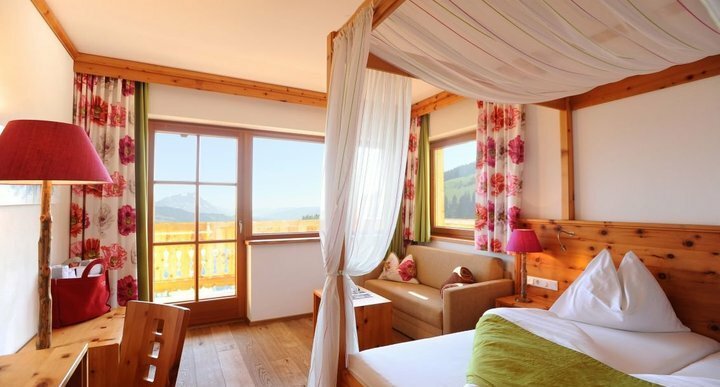 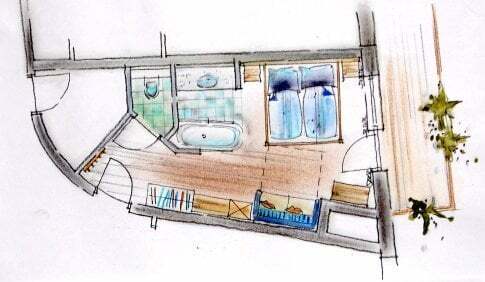 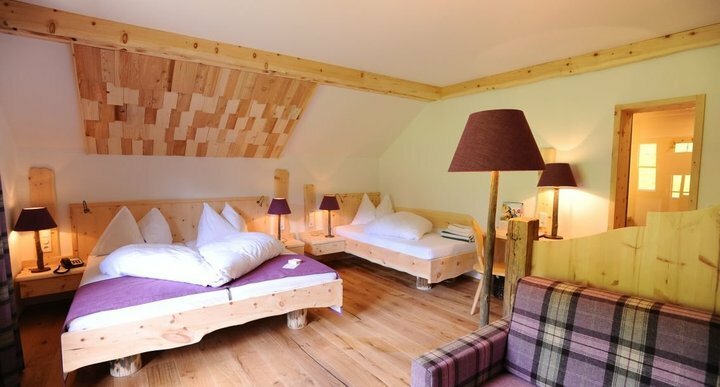 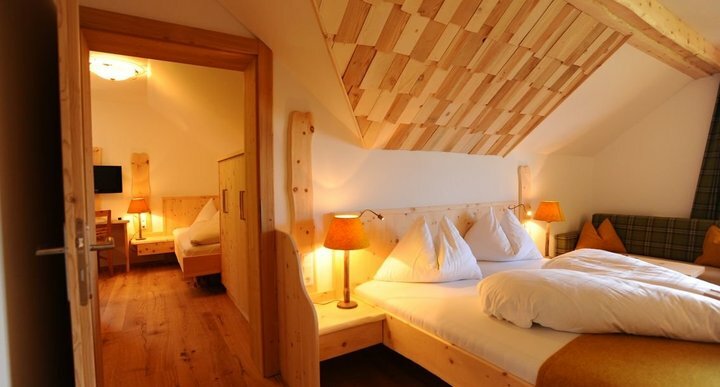 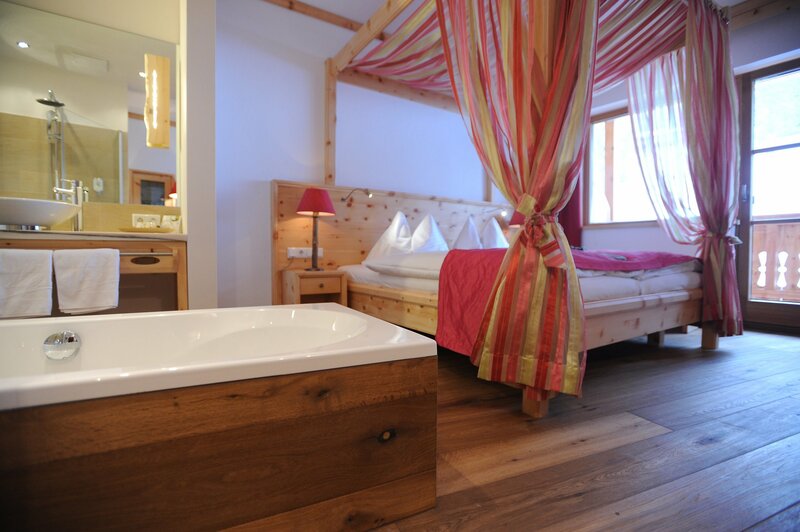 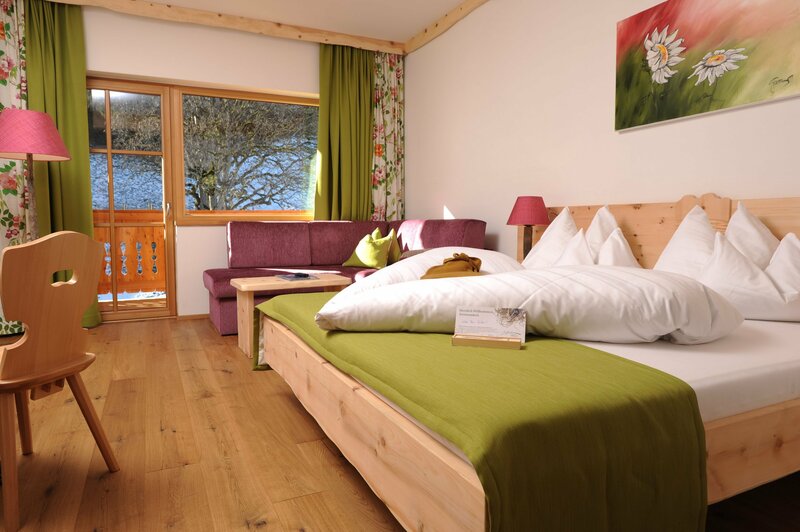 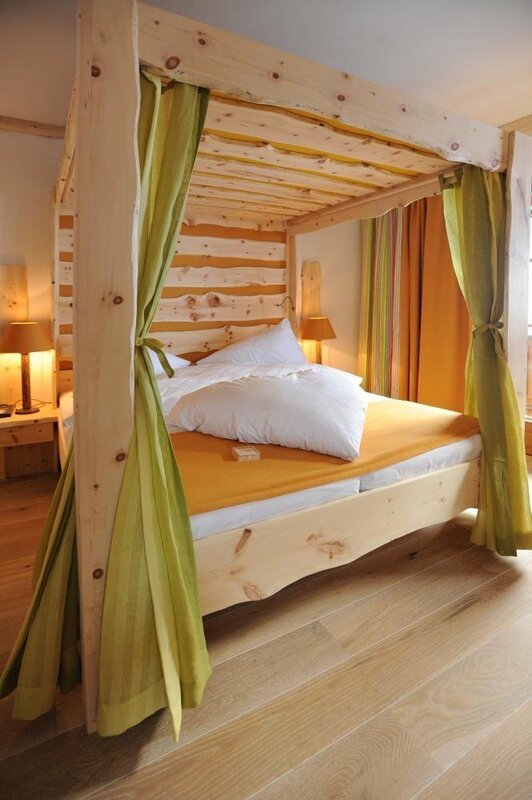 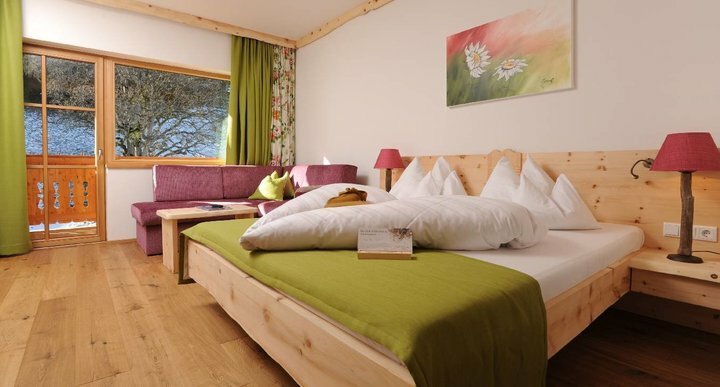 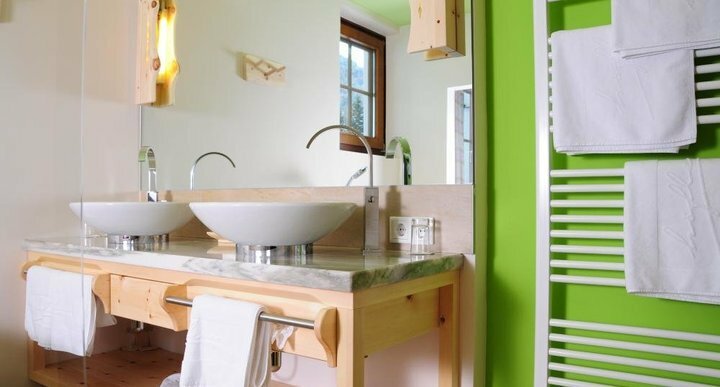 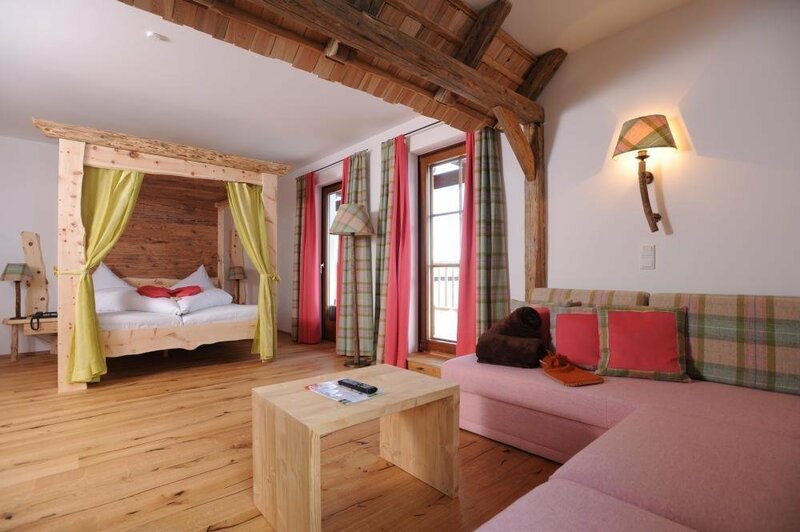 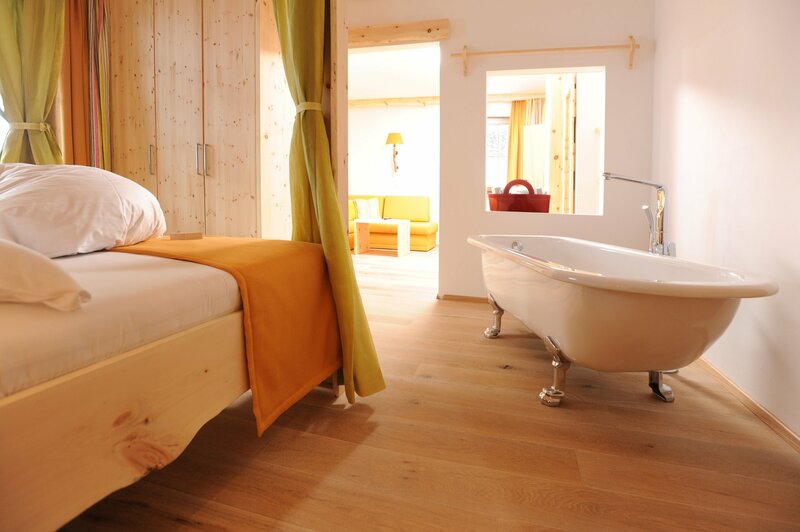 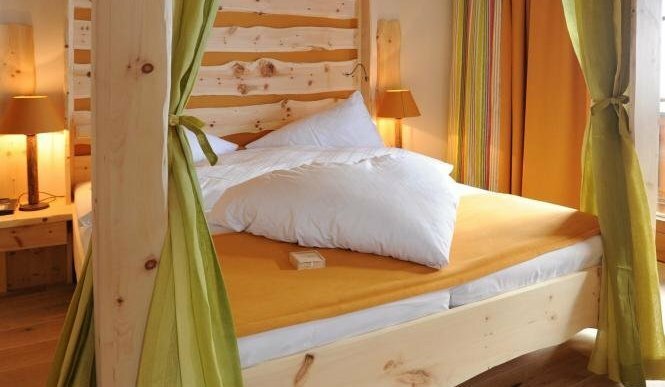 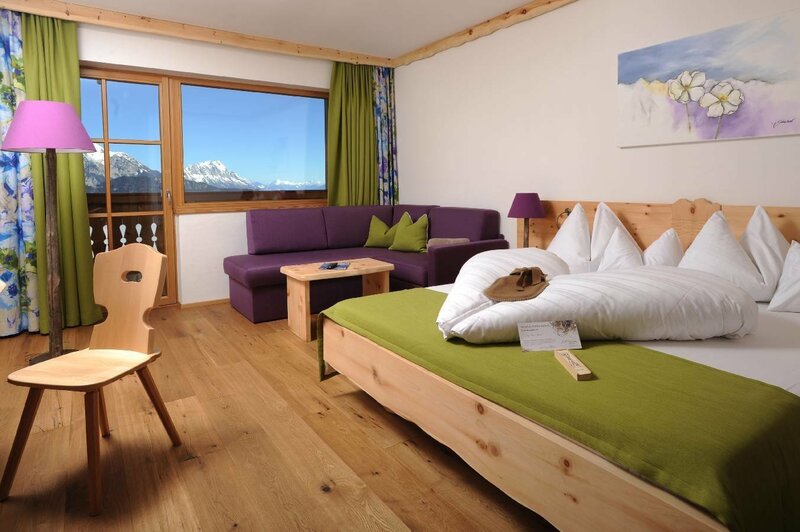 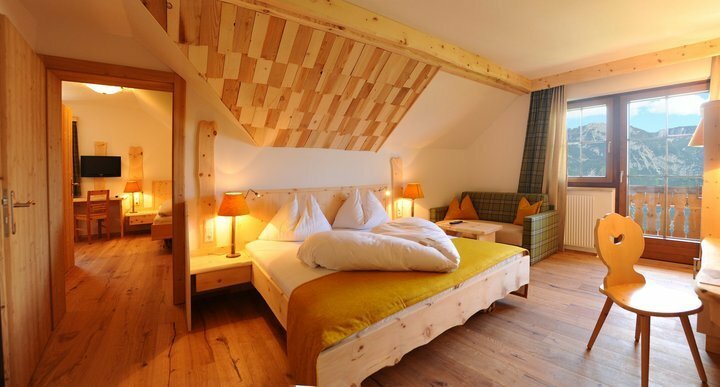 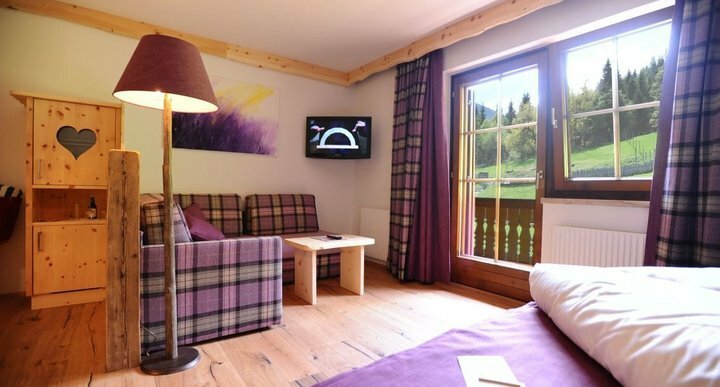 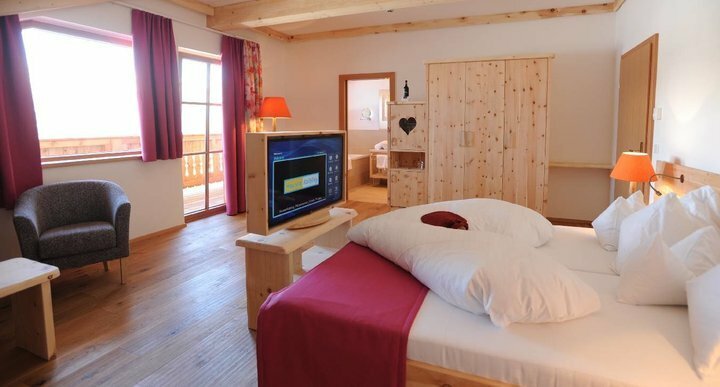 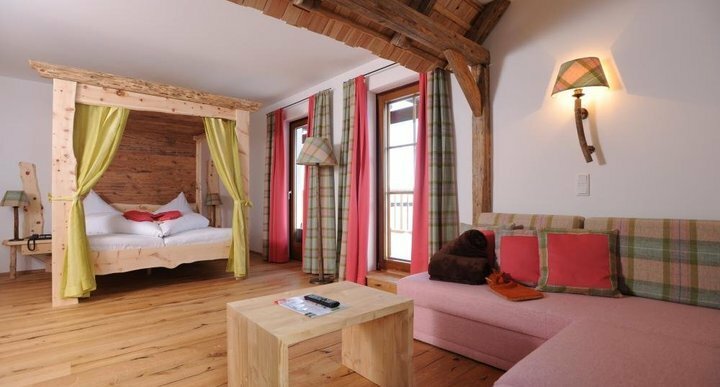 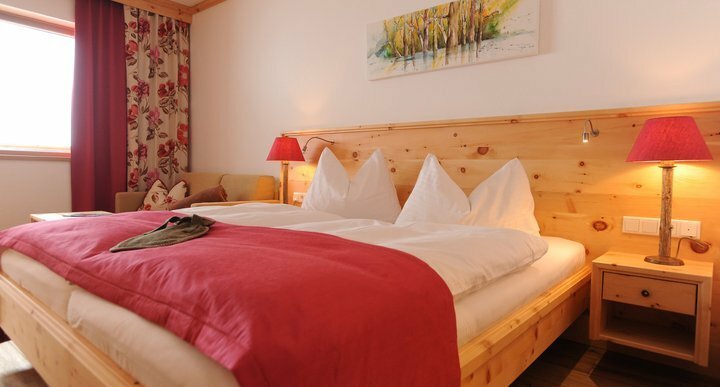 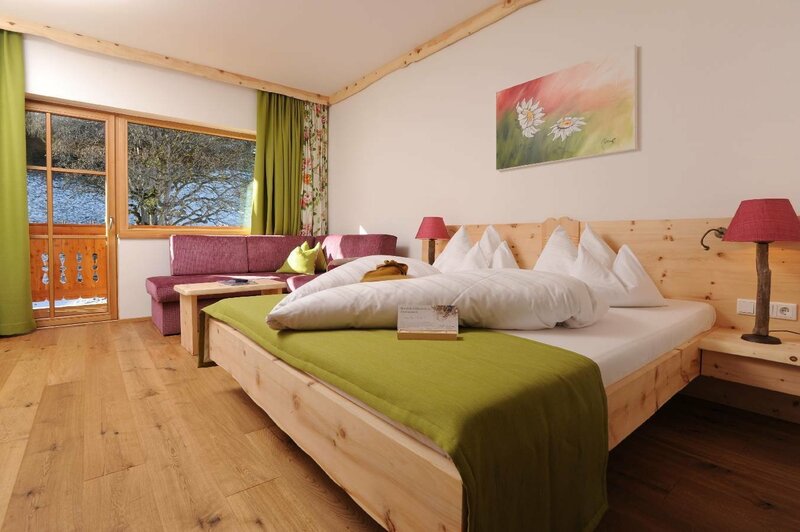 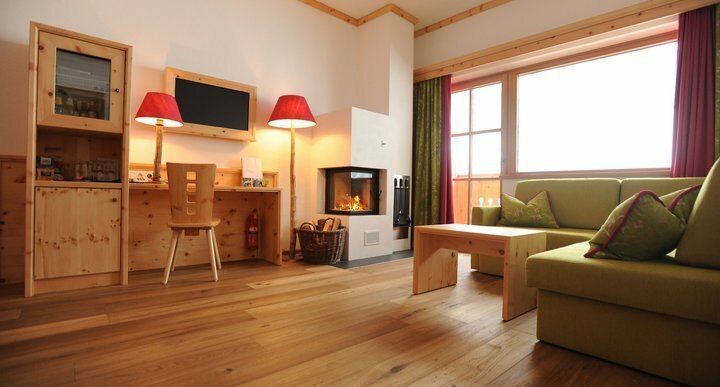 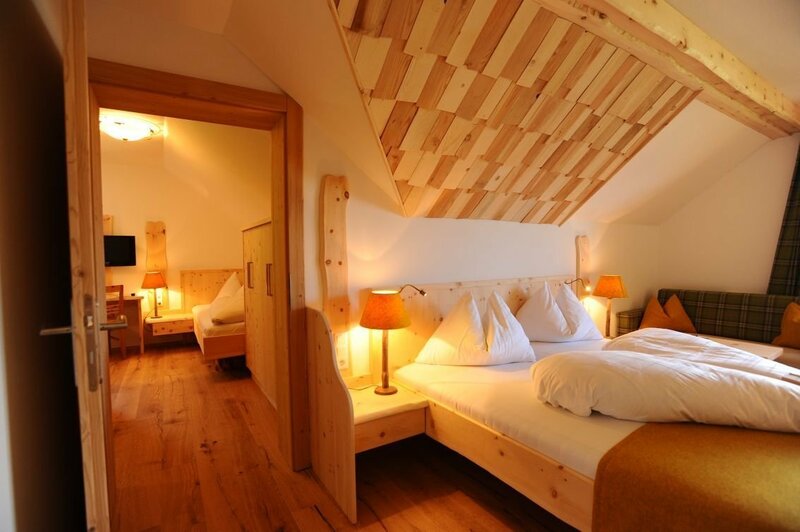 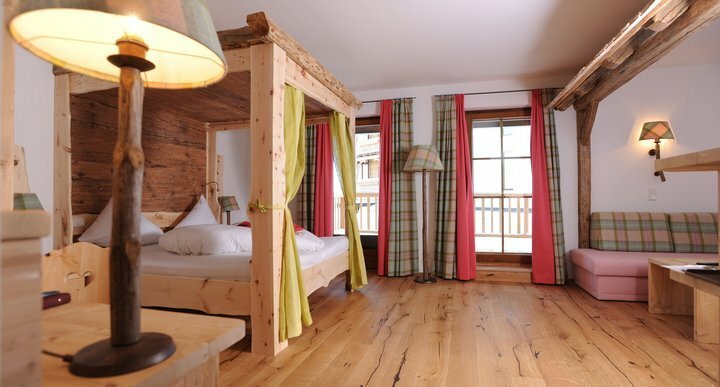 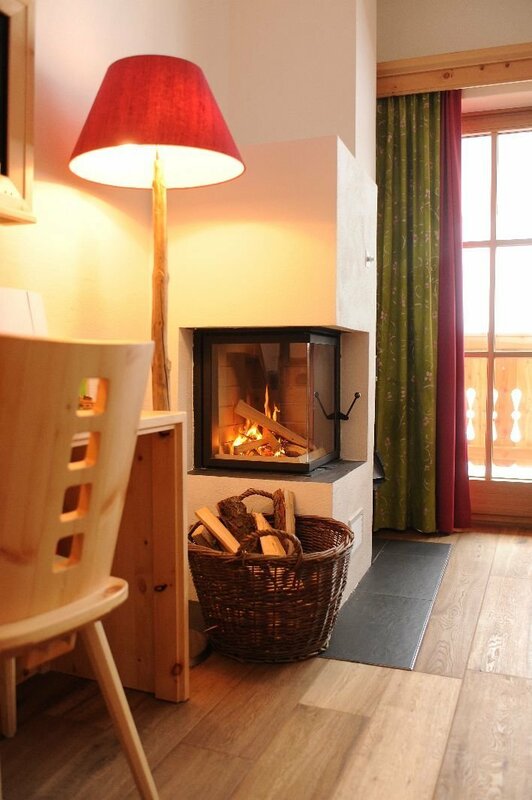 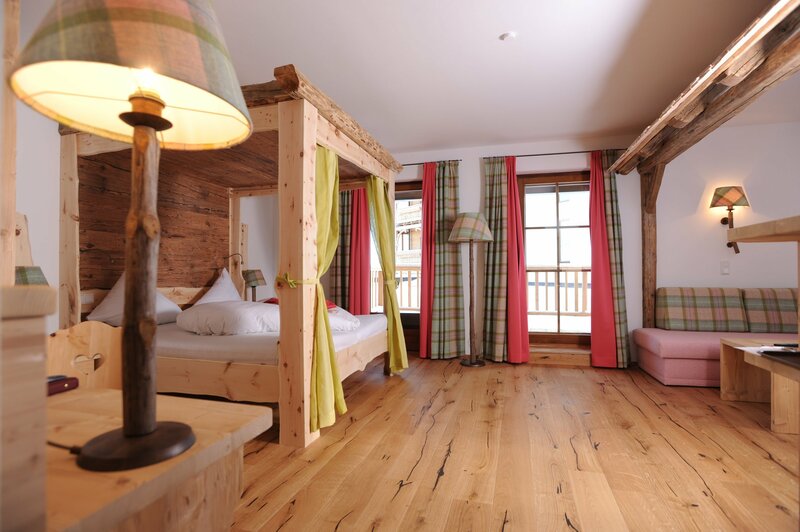 Fragrant Styrian Swiss pine wood furniture, a large seating corner, bath tub, WLAN and flat-tv. 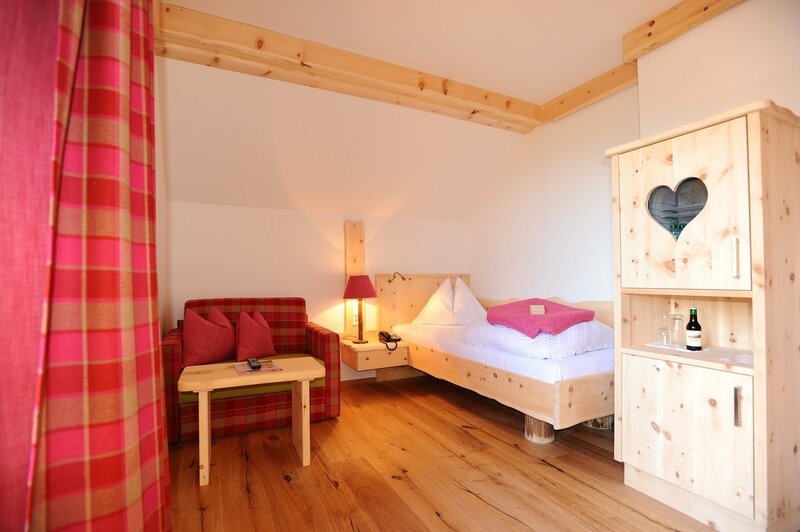 57m² in the main building are suitable for 2 - 6 persons. 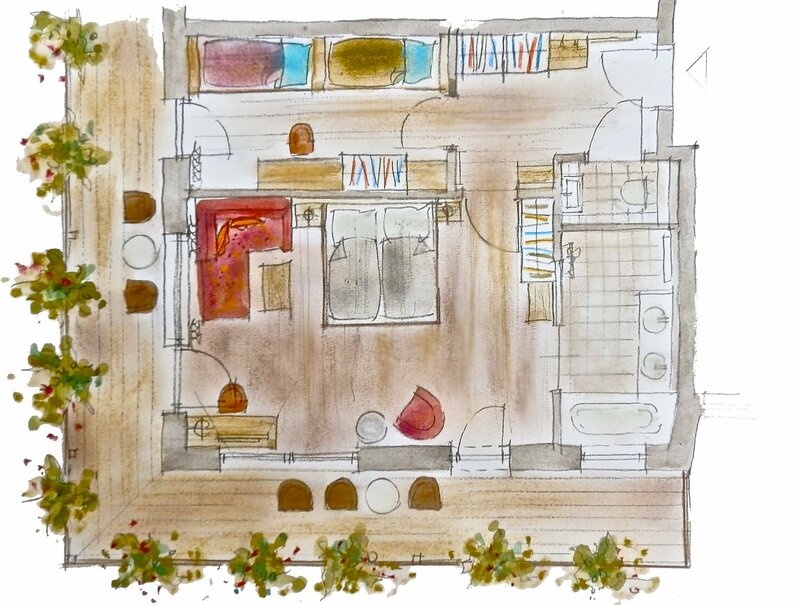 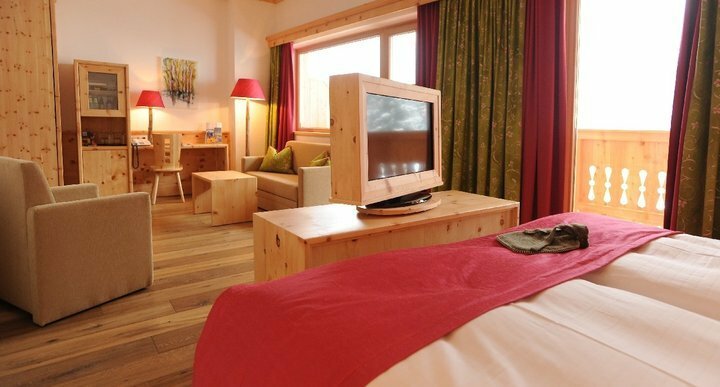 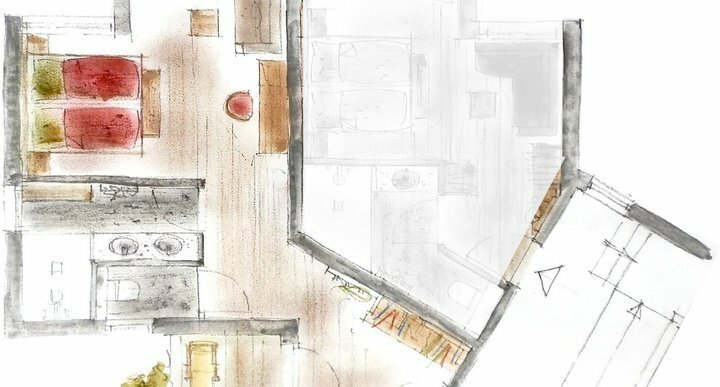 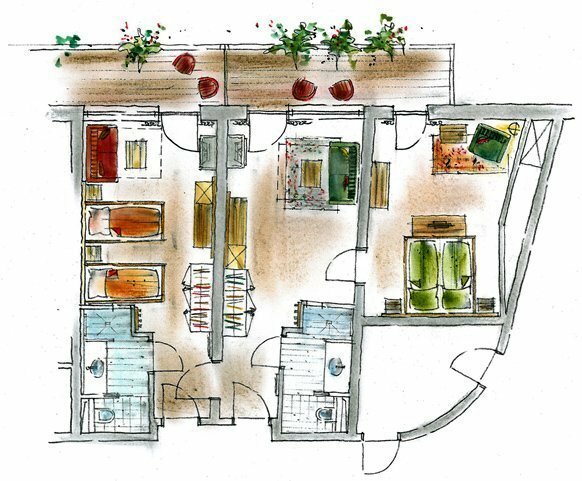 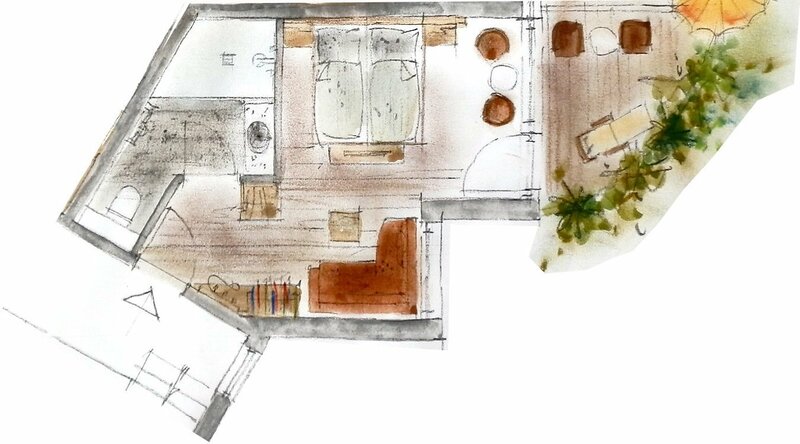 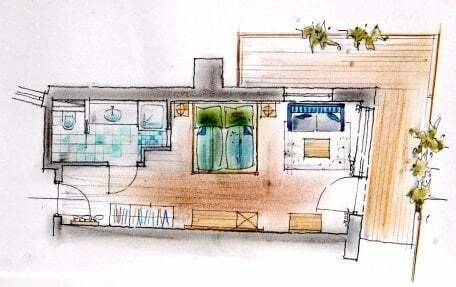 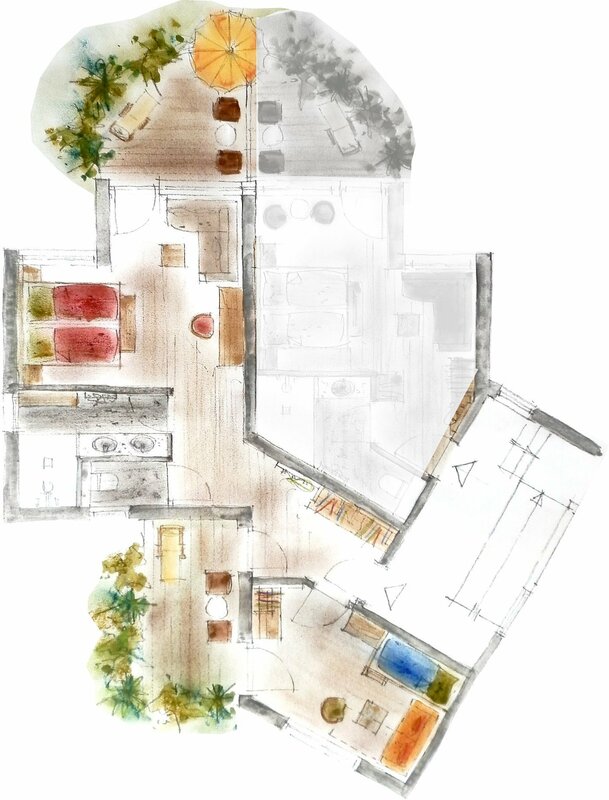 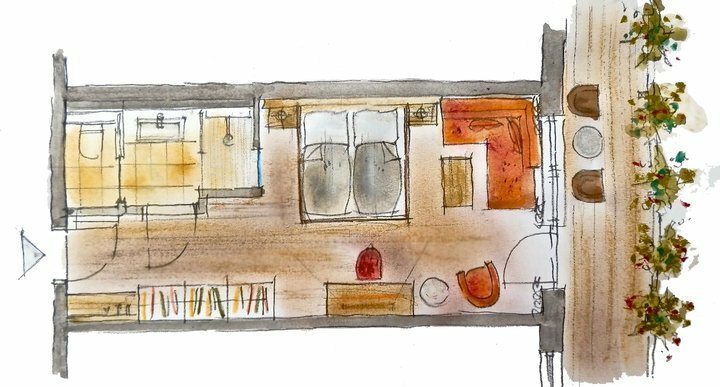 Noble, with a touch of local flavour, a large living area and bathroom, rustic wood and fragrant Styrian Swiss pine wood, a large balcony, WLAN, flat-tv. 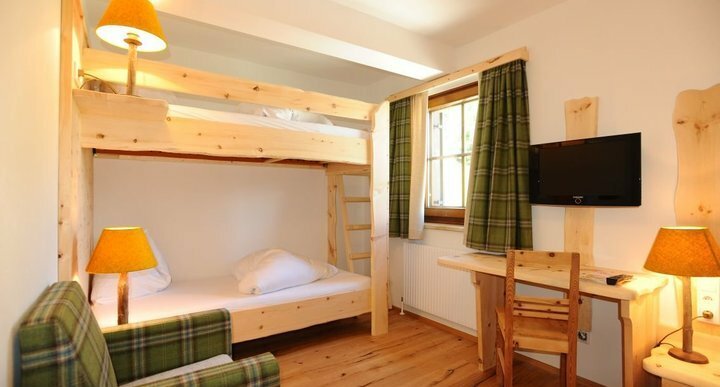 55m², suitable for 2-4 persons. 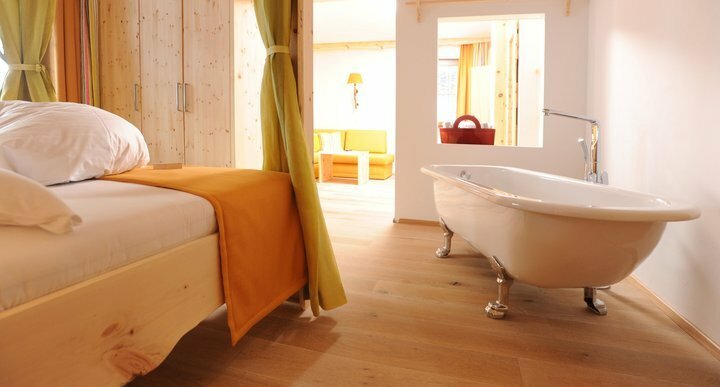 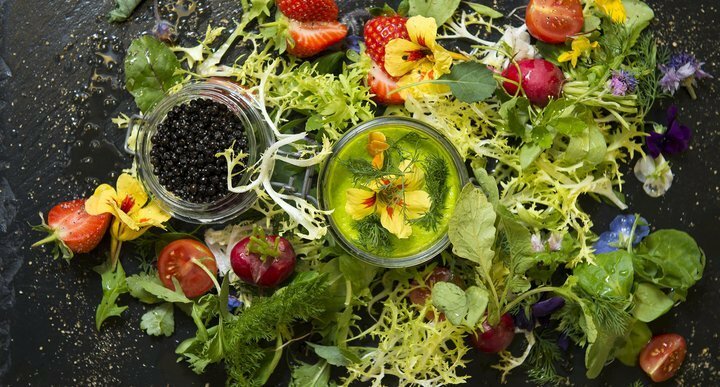 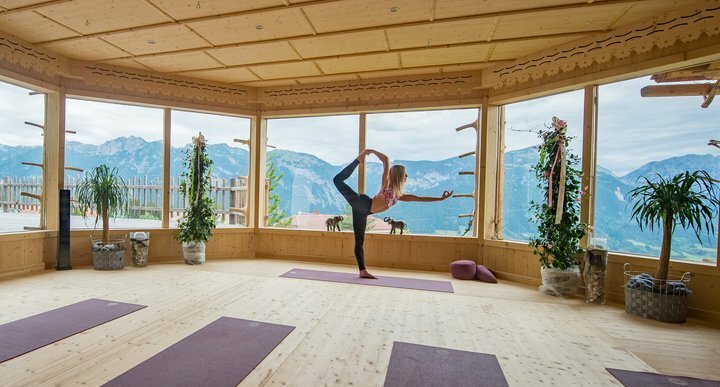 For your family wellness vacations we equipped the room by solid moon cut Swiss stone pine and aged elements of spruce wood have been taken from granges of the region. 32m². 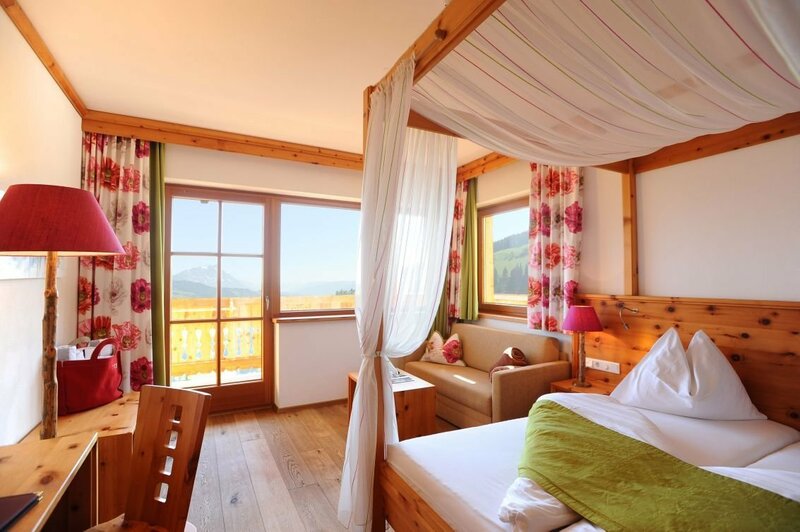 Fresh mountain air and sufficient sunlight is given by the south-facing balcony. 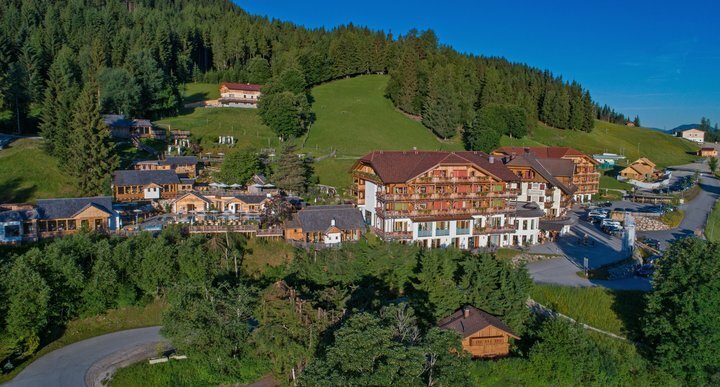 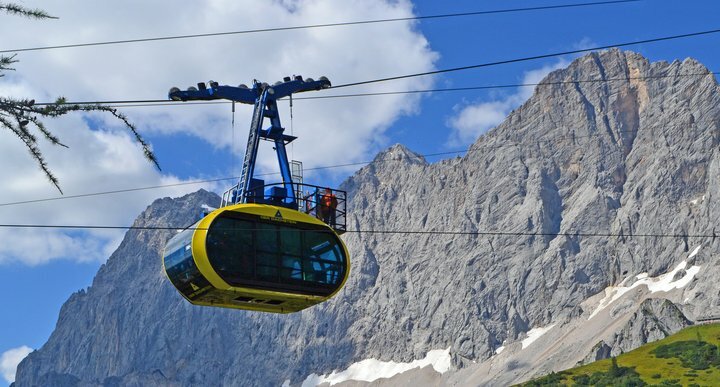 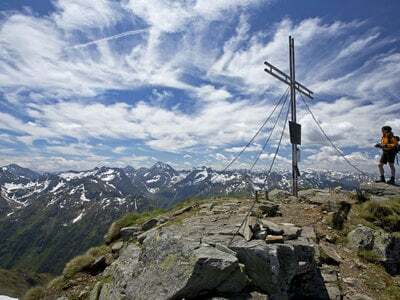 Enjoy the idyllic landscape, the alpine panorama inclusive of our red deer park and alp pastures. 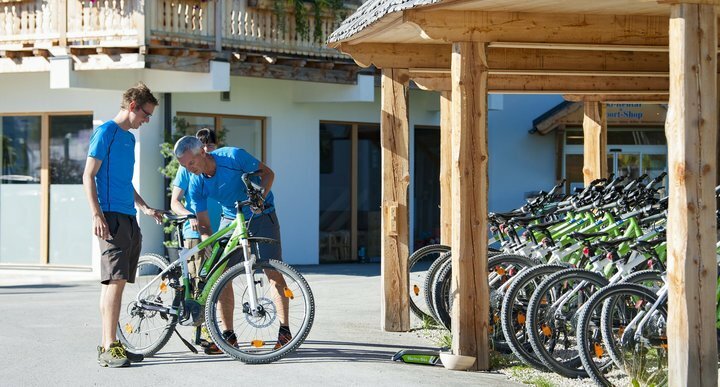 From May to mid-October, the all-inclusive Sommercard makes the majority of recreational facilities in our vacation region available to you free of charge. 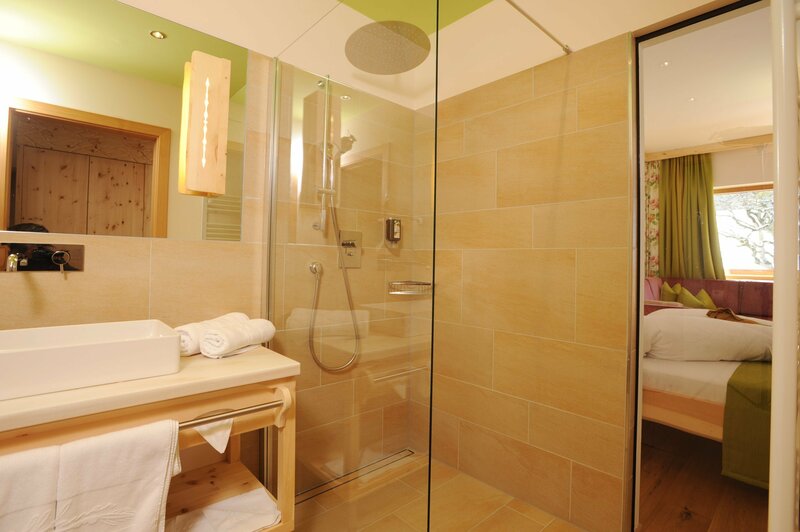 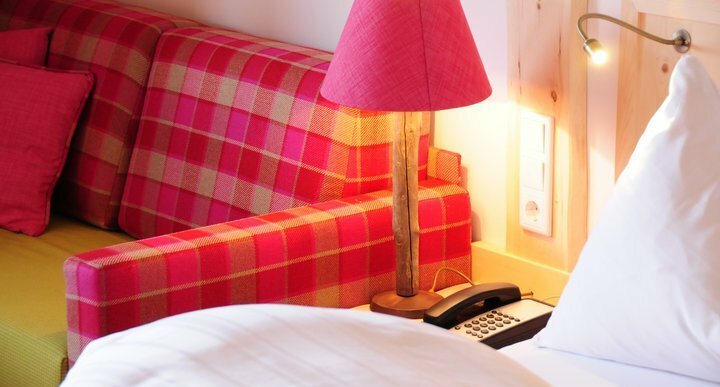 All our natural rooms are cosy, trendy, rustic and elegant. 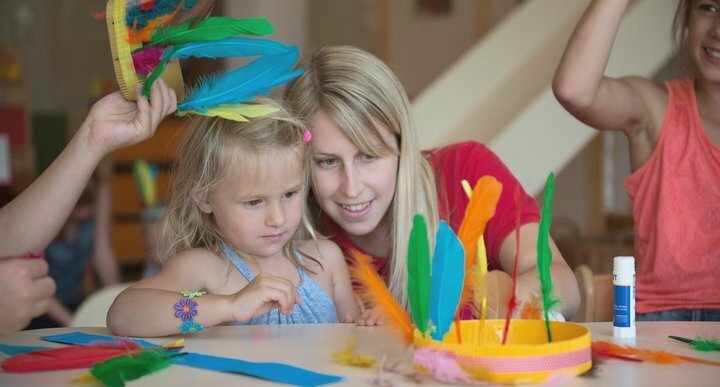 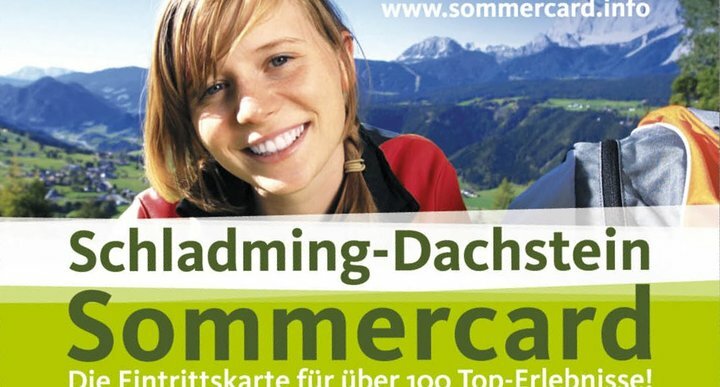 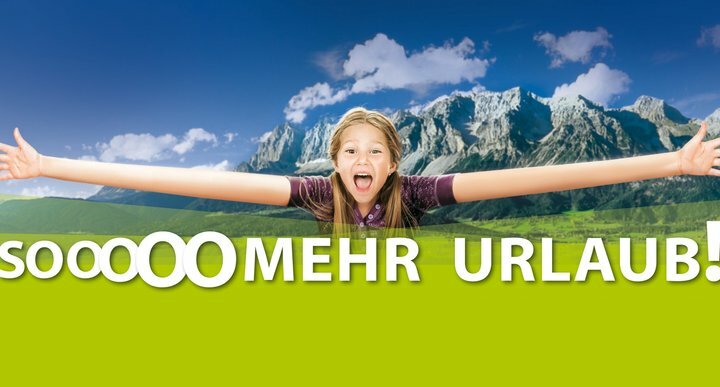 A trip with the summercard, a hiking or a bike tour or a group fitness class in the hotel - there are many activities to do! 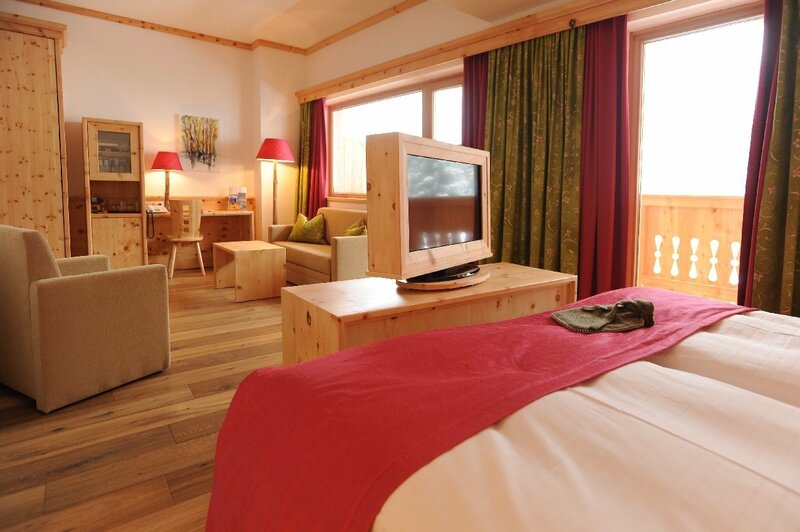 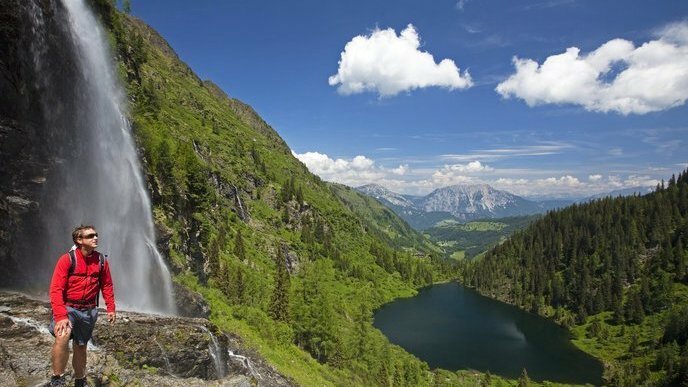 Experience the mountains around our hotel with our hiking guids or on your own. 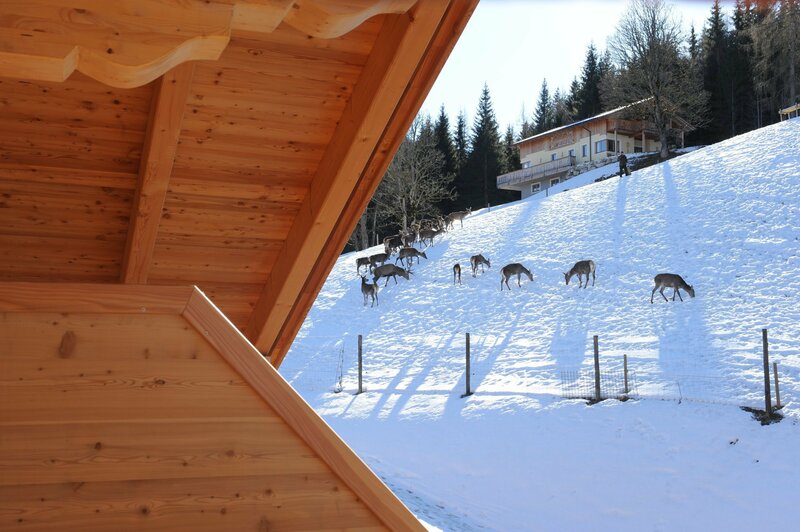 We welcome our four-legged friend!